We've Lowered the Price on our Fabric Banners! 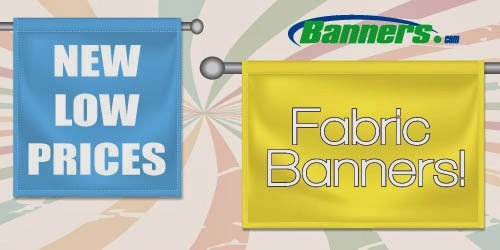 We are happy to announce that we've lowered the price on our fabric banners! The fabric banners are printed using a direct dye sublimation printing process. There are two different types of fabric banner materials: Satin Fabric and Banner Soft Fabric. Click here for more information on our fabric banners and to see the lower prices.